A lawsuit that concluded this spring highlights an important potential liability for homeowners associations around the country: playgrounds. One homeowners’ association in particular was hit with a $20 million jury award after a teenager was injured on the property’s playground. Reportedly, the 42-pound crossbar of the swing set fell on the boy sitting on the swing set due to corrosion at the connection points, causing him serious injuries. Reportedly, not only had the homeowners association previously experienced three swing set failures on this playground, but they also did not arrange for any inspections or regular maintenance. Unfortunately, the homeowners association only had $2 million in liability insurance coverage, and $10 million out of the total $20 million award was entirely attributed to punitive damages. Many lessons can be learned from this case when it comes to homeowners associations and common areas, including recreation equipment. 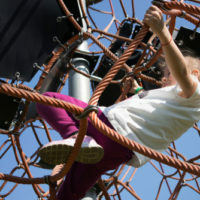 In this case, two factors in particular worked against the homeowners association: Not only had there been previous injury incidents (indicating that the association was put on warning that the playground had safety issues), but failing to arrange for periodic inspections can also sometimes be used to argue that an association has been negligent with accidents like these. In Florida, as in other states, playgrounds must comply with the requirements set forth by the U.S. Consumer Product Safety Commission. This states that equipment should be thoroughly inspected frequently by someone who is qualified to inspect playgrounds for safety in order to prevent injuries that may result from wear and tear on the equipment. Routine inspection and maintenance issues include checking to see if there is broken equipment, loose bolts, cracks, broken glass anywhere, cracks in any plastic, displaced loose-fill surfacing, hazardous debris, holes, insect damage, loose anchoring, surfacing problems, rust, rot, user modification, vandalism, worn or missing parts, and/or wood splitting. If an association is aware that something might be a liability and fails to act, it could be found responsible for any subsequent injuries. If you run a homeowners association and are concerned about liability issues like these, contact one of our homeowners’ association attorneys today to find out how we can help. By ensuring that you are acting with reasonable diligence, you can successfully avoid liability for others’ accidents. 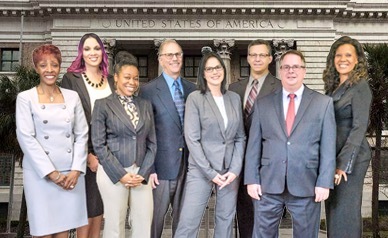 Your HD Law attorney can help you draft safety rules and disclosures in order to avoid any misuse and help ensure that you provide reasonable weight limits, hour limitations, age-related rules, etc.–whatever is necessary to comply with housing laws. We serve clients in Orlando, Sarasota, Tampa, and surrounding areas.